Square Enix is doing possibly the weirdest game reveal in the history of gaming. Instead of just biting the bullet and letting the world know at once, they’re forcing us to sit through a three-day reveal which is magnitudes more disorganised than any Twitch Plays Pokémon game ever. Thankfully, the internet is impatient – which is why the game we’ve been waiting for has leaked. And it’s not at all surprising. According to keen-eyed hawks on NeoGAF, Deus Ex: Mankind Divided is the next installment in the long running (but recently resurrected) franchise, which will follow directly on from the knockout hit Human Revolution. Shortly afterwards, Game Informer outed the title as their cover page for May, confirming setting and story details. Mankind Divided will feature protagonist Adam “I didn’t ask for this” Jensen once again, in a fairly similar game to Human Revolution. The game is set two years after the events of Human Revolution, as Jensen teams up with a task force to hunt down transhuman terrorists – after all the damage the Illuminati wrought at the end of the previous game. 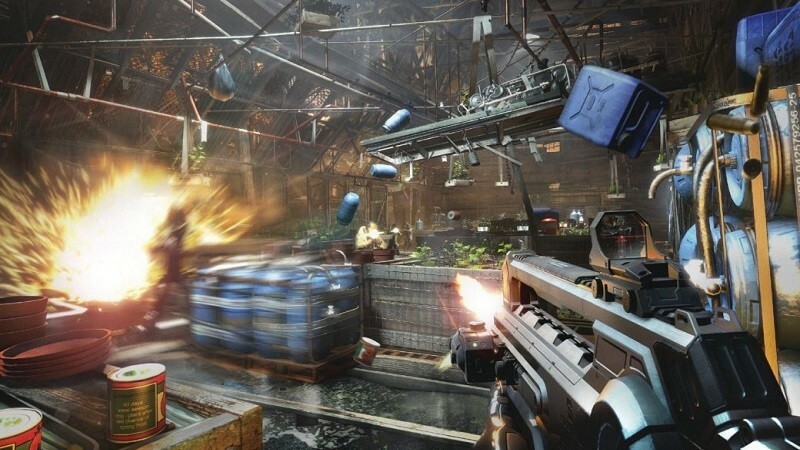 Mankind Divided will retain the mix of stealth and high-octane combat from the previous game, allowing players to mould Jensen into the killing machine they envision him to be. That means more augmentations, more highly customisable weaponry and hopefully far better balanced bosses. The big difference at this stage seems to be the AI – they’ve learnt that sticking in groups probably increases their life expectancy around a guy like Jensen. The game is expected to launch for PC, PS4 and Xbox One, and judging by the four screenshots that accompanied the leak it looks unlikely to be coming to older hardware. I’d take them, in particular, with a pinch of salt at this stage – considering just how mind-blowingly incredible the in-game shots look already. Bullshots are a very real thing. Either way, we’re bound to hear much more about Mankind Divided very, very soon. I, for one, cannot wait.